A recent national survey finds one in three American high school students stealing from a store in the past year; two in five lying to save money; and eight out of ten lying to their parents. A majority (59%) admit cheating on a test, with one in three acknowledging using the Internet to plagiarize an assignment (Josephson Institute of Ethics, 2011). 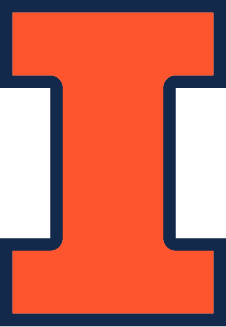 The University of Illinois at Urbana-Champaign is the home of the National Center for Professional and Research Ethics (NCPRE), which serves as a national resource for best practices, educational materials, scholarly literature and other tools for ethics education. The High School Ethics Education Outreach Program connects, engages and embeds University of Illinois undergraduates with local high school students. Under faculty guidance, undergraduates lead workshops on key ethical issues facing high schoolers, providing tools to articulate values and act ethically even in the face of conflicting messages and peer pressure. It provides opportunities for NCPRE to collaborate with and engage local schools in the development of effective ethics education. The most recent report on the program can be found here. The program is conducted over the course of the Fall & Spring semesters each year. Area sophomores/junior high school students attend one ethics education session per month during each semester (Fall – September, October, November: Spring – February, March, April); these 6 sessions focus on practical approaches to ethical consequences, rules and character. NCPRE Certificates of Completion are offered to high school students (for use as part of their college admissions packet). The curriculum is tailored to high school students and is adapted with permission from courses on campus such as Business 101: An Introduction to Professional Responsibility and ECE 316: Ethics and Engineering. • October: Values exercise – what do you value, and why? • November: Communities – in which communities do we live and operate (school,family, friends, soccer team, etc.) What are the rules and responsibilities for each? • March: Practice more personal scripts; begin discussion of defining moments in life; and brainstorm ideas for final projects. This project has short–term and long-term potential in: 1) working with teenagers who often ask for help in determining how to navigate ethically in their world; 2) disseminating and sharing learning strategies for ethics education; 3) using “supplemental instruction” (students learning by teaching) as high school students working with middle-school students; and 4) tapping into university faculty ethics expertise and experience – collecting views, information and ideas that may contribute to the process of improving ethics education for both undergraduate and high school students.